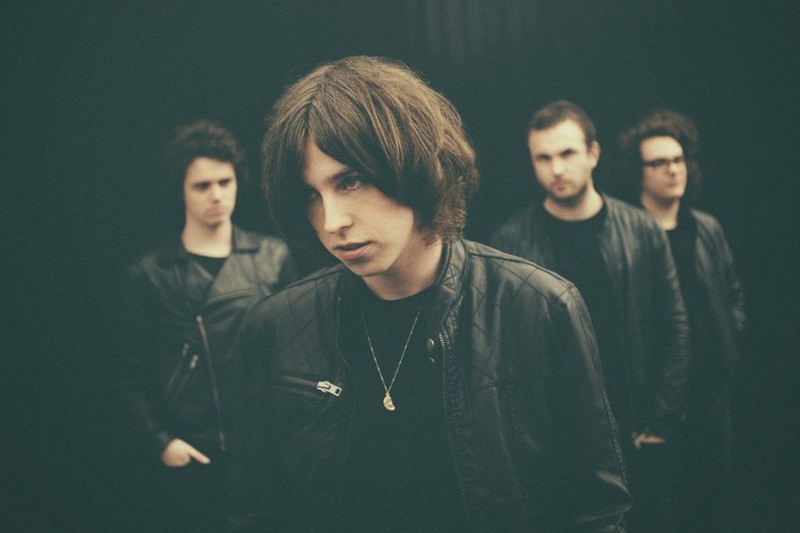 Hailing from Llandudno, Wales, Catfish & The Bottlemen are paving the way for newcomer bands. I first saw them three years ago when they played a small gig in Hull at the Adelphi Club. I was stood outside when somebody ran out exclaiming 'you need to hear this band!' obviously intrigued, I headed towards the muffled sound of guitars, I opened the door into the venue only to be met by the intro for 'Sidewinder'. With the transition of the intro to the initial riff and roar of the rythym guitar, I knew I'd found a new musical love for Catfish & The Bottlemen. When I went to meet them after the gig, Van, Bob, Billy and Benji were all outside selling T-shirts and CD's they'd burned themselves. They were such genuine lads just trying to live the dream and with the quality they had at the time, they were well on their way to succeeding. Three years later, Catfish & The Bottlemen are taking the world by storm. Playing festival after festival, gig after gig, they're quickly becoming the band to know. Having just finished an almost sold out UK tour and plans to play another tour in early 2015 which is looking to be a sell out, Catfish & The Bottlemen are definitely the best band to come out of Llandudno and are quickly creating a new generation of rock lovers. Catfish & The Bottlemen were featured in Zane Lowe's 100 hottest records both in 2013 and 2014 and also featured on Radio One’s In New Music We Trust playlist with their track 'Pacifier'. They have also recently performed on The BBC Music Awards where they won the BBC Introducing Award. You can see them perform their track Kathleen at The BBC Music Awards on this link: Kathleen - Catfish & The Bottlemen, Live At The BBC Music Awards. Their debut album 'The Balcony' was released in the UK in September of this year, and after getting the album together for 6 years, it is an album that this year needed. I for one can listen to the album track to track, back to back several times over, have a break, and then repeat the cycle again. In NME's review they slated the album saying it's sound was 9 years too late, which, let's face it, is b*llocks. No music can be 'late', music is music, and with 'The Balcony' peaking at number 10 in the charts, Catfish having a sold out UK tour and a world tour planned for 2015, they're doing pretty good for 'out-dated' music don't you think? If you haven't heard Catfish & The Bottlemen's album yet, it's available in the UK now and is going on sale in North America early 2015.